Like you, I have been a frequent commercial airplane flyer for years. I don’t have a bone break or concussion to report from airplane or airport handling, though like you too, my luggage has suffered that, and worse. My teeth are falling out from natural causes. I have not been beaten up for insisting on my legal right to an aircraft seat I have paid for. But I have been the target of threatened violence by British Airways crews; arrest by personnel of Heathrow airport and Olympic Airways; abuse by female Qantas passengers who don’t know what decompression does to their infants’ ears; and Afghans without socks and shoes on Emirates Airline flights. Through it all, my experience in flying has convinced me the two best airlines to fly if you are an economy-class passenger are Aeroflot and Cathay Pacific, the first because it is state owned, and second because it is Chinese. More of what this means after you fasten your safety belt and make sure your seat backs and folding trays are in the full upright position. Last week, what happened Dr David Dao at the hands of a gang of security men in Chicago airport, directed by the gang which runs United Continental Airlines can and does happen to all of us, especially if we are of a race, nationality or culture the airline doesn’t like. And most especially if we revenue-paying passengers get in the way of the one thing United and its airline peers care more about than anything else – maximizing corporate profit and share price, so that the senior management can grab larger bonuses for themselves. Money and race or ethnicity are two things which decide your airplane experience. They may also decide whether your flight is interrupted by a crash. For the full story of the efforts of the military regimes in Kiev and Washington to use civilian flights as shields for bombing operations, read this. 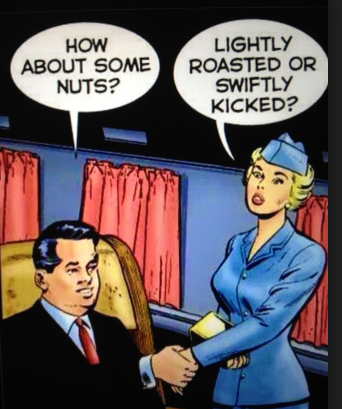 The small reason Dao was assaulted by United Airlines in its attempt to take back its airplane seat was that it wanted the seat to be occupied by a crewman the management was flying to join another plane, according to the management’s minimum cost operating schedule. The big reason why the airline chief executive, Oscar Munoz, didn’t apologize and assured airline staff it had been following correct procedure, was that his take-home pay depended on procedures which are an abuse of the passengers who generate the airline’s revenues. This year for example, Munoz is to be paid about $14.3 million, of which only $500,000 (3%) in bonus depends on passenger satisfaction surveys. Munoz’s employment contract, when he moved to the airline in 2015, included a signing bonus of $5.2 million; a base salary of $1.25 million; and a performance reward scheme of at least 200% of base salary, with a minimum of $3.75 million and a target of $10.5 million, so long as Munoz stayed at his desk full-time. For Munoz that was complicated by his heart attack in October 2015, followed by a heart transplant operation. To qualify for his cash Munoz went back to work in March 2016. His risk of dangerous internal bleeding has probably been higher than Dao’s. The last financial report from United illustrates why the corporation runs such risks. Issued on January 17, United’s report shows that for the year ending December 31, operating revenues dropped 3.5%, and for regional flights – the one Dao was taking – the decline was almost double at 6.3%. Operating expenses jumped, despite the decline in aircraft fuel costs. That was due to a 5.8% increase in staff payments. So, naturally, operating income fell sharply – down 16% on the year. Profitability measures – operating margin, pre-tax margin – dwindled, and net income crashed 69.2%. From a peak of $76.05 per share on December 21 (market cap $24.1 billion) the market cut the company’s value to $65.28 ($20.7 billion) by March 20. That’s a punishment of 14%, or $3.4 billion. Then, just as market sentiment towards United seemed to be recovering, the airline attacked its passenger for standing, er sitting, in the way of its business targets. The passenger profitability metrics revealed in the airline financial report show why Munoz was so determined. “Passenger revenue per available [sic] seat” fell 5.4%; “average yield per revenue passenger mile” dropped 4.8%. From the chief executive’s point of view, a decision had to be made. To improve passenger revenue per seat he must either charge more for tickets or cut the cost of making seats available. To revive the yield, while having to pay higher crew costs, Munoz had to make passengers suffer. That’s why Dao received his broken nose, concussion, lost teeth. Now it’s the airline’s turn. Aeroflot is 59% state owned; 41% of its shares are traded on the open market. An attempt at fake privatization for the benefit of the brothers, Arkady and Boris Rotenberg, was averted last year, following a warning from Aeroflot’s chief executive that in the current situation “for a country like Russia, it is dangerous not to have a state-run airline.” For more on the profit-making of the Rotenberg brothers, read this. For the Rotenbergs’ successful takeover of ground transportation tariffs, click ; and for their bid at the state railways, click again. Left: President Vladimir Putin with Vitaly Saveliev, Aeroflot CEO, in September 2016, after Rotenberg’s bid for the airline was blocked. Right: Arkady Rotenberg. For more on the Rotenberg takeover of Sheremetyevo airport, read this. The Russian airline’s performance has been predictably damaged by the combination of rouble devaluation, sanctions, loss of real income, and war conditions since 2014. Last year’s recovery, and the continuing growth reported in January and February of this year, reflect the revival of domestic demand, and also of international travel, including a small boom in inward Chinese tourism. In 2014 Aeroflot reported a loss of Rb17.2 billion; in 2015, the loss was Rb6.5 billion. Last year, the bottom-line returned to profit at Rb38.8 billion. This remained a fraction of the company’s 2013 profit when the accounts were reported in US dollars – $230.3 million. In 2011 and 2012, profits were $491.3 million and $166.3 million, respectively; the higher 2011 figure reflected one-off asset sales. By several metrics, including its dominance of the domestic travel market, Aeroflot is the strongest airline brand in the global market, according to this London report, released last month. “Aeroflot is the world’s most powerful airline brand, with an AAA brand rating. The news may come as a surprise to those in Europe and North America more familiar with Western or Gulf flag carriers. By contrast, Russia as a destination for non-Russian airlines has typically been a trial for passengers. Here is the story of what British Airways did in 2002 did to a group of 40 passengers bound for Moscow. It also explains how that airline then, like United last week, inflicted damage on passengers because of cost-optimizing crewing schedules. The story first appeared in Russia Journal, whose publisher Ajay Goyal had been threatened by the Moscow manager of British Airways that if the story ran, the airline would cancel more than $20,000 of advertising contracted to the newspaper. The story was published; the ads were cancelled. As Dr Dao at the hands of United, Russia Journal suffered. But a British Airways pilot sent me a confidential message as well. This warned that my name had been blacklisted in staff communications, and that I should avoid flying on British Airways because air and ground staff had been alerted to find, or invent, evidence of provocative behaviour or security violations with which to manhandle and arrest me. 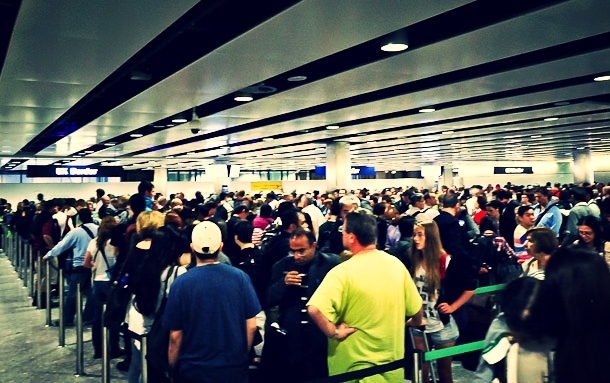 If you have ever had to form a line in a Greek airport, answer questions from a British border guard, been sniffed by an Australian Customs dog, waited for an Italian baggage-handler to deliver your suitcase, followed the signs in a Spanish airport, collected your VAT rebate in Johannesburg, or tried a taxi at Prague – you know the rest of the world can be far less hospitable than Russia. The infernal incoming passenger clearance lines at Sheremetyevo airport, which were a feature of the 1990s, have been largely eliminated. Heathrow has replaced Sheremetyevo in that infernal position, particularly if you are incoming on a flight from China, with hundreds of Chinese passengers. In the culture of managing travel in the air, the Chinese airlines know better than others how to accommodate large numbers of people in small spaces, and curb passenger-caused nuisance, such as infant noise, adolescent pop music, and alcohol disinhibition. But once on the ground, in the typical arrival hall of non-oriental airports, a crowd of Chinese passengers is a target of discrimination. In time, the need for Chinese travellers’ cash and fear of Chinese power may ameliorate this. By then too, Aeroflot will have recovered the passenger loading required for flight destinations cancelled in 2014. That is, if a Rotenberg takeover hasn’t fired the airline’s management into United’s Friendly Skies.